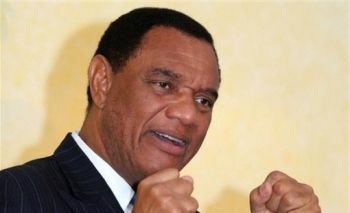 The newly installed chairman of the Caribbean Community, Bahamian Prime Minister Perry Christie, will represent the region at the Jan. 8 summit in Beijing of China and the Community of Latin American and Caribbean States, known as CELAC. Christie, who assumed the CARICOM chairmanship on Jan. 1, will deliver a statement on behalf of the organization during the meeting. He is also expected to meet with China's president, Xi Jinping, to discuss regional and bilateral issues such as "technical cooperation, maritime issues and a possible air services agreement," the Bahamas government said in a statement Monday. The China-CELAC conference will review progress on initiatives launched by Xi during his July 2014 tour of Latin America.